Many people want to buy a home but are unable to afford to do so. It is common for would-be buyers to lack the funds for a down payment or to have too much debt to secure a mortgage. Renting with an option to buy, also known as lease-to-own, may be a good option for some prospective homeowners. In these arrangements, you pay a certain amount to rent for a specified period, and at the end of that period, you have the option to buy the house. The precise terms will vary, but there can be both advantages and disadvantages to these types of agreements. The Boston real estate lawyers at Pulgini & Norton can help make sure that your interests are protected in this situation. For many people, buying a home is one of the most important decisions of their lives, and they would prefer to save rent money and use it on a future mortgage. Renting with an option to buy allows renters without other options to rent first and buy a few years later. Whether you are a buyer or seller, before you enter into a lease-to-own agreement, it is important to be clear on the terms of the agreement. 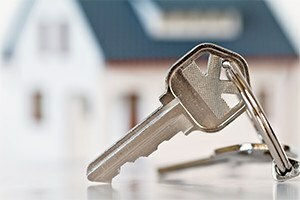 The lease should address the length of the lease period, the amount of rent, what the rent credit for a down payment will be and how it will be held, what happens to the credit if a renter decides not to buy, and who pays for property taxes, property insurance, utilities, repairs, and any other recurring expenses during the lease period. You should also address which party will be accountable if something happens to the property while you live there, and you should include a clause related to having a home inspection before buying. As a buyer, it is also a good idea to consult a lender about the terms and the possibility of securing a mortgage. The amount of rent and the ultimate sales price are subject to negotiation. Renters may pay an option fee or a rent premium. When the renter buys the house at the end of the period, the option fee will become a portion of the down payment. However, if the renter does not buy, the option fee is simply income for the seller. Rent premiums are sums that are above the average rent price that are put toward the down payment. In most cases, the renter will agree to rent the property for 1-3 years, paying rent at an above-market rate. This additional rent is put towards a down payment after the period is over. The contract should also specify a price for the home after the lease is concluded. After the contract is entered into, the sale price will be fixed until the end of the specified lease term. This means that a seller must understand from the outset what the sale price will be in order to set the other terms accordingly. The buyer should also be aware of this price. Even though the value of other homes in a neighborhood may change during the lease period, whatever price you agree upon once the contract is signed will remain the same, unless another arrangement is specified. You should be aware that in some situations renting to own is not the best option. It is more expensive than simply renting an apartment or house. At Pulgini & Norton, our Boston real estate attorneys understand how to draft a rental agreement with an option to buy and can help you evaluate whether it is a sound transaction. Our firm also advises and represents people in Somerville, Quincy, Braintree, and other cities in Massachusetts. Call our property transactions lawyers at 781-843-2200 or contact us via our online form for a free consultation.